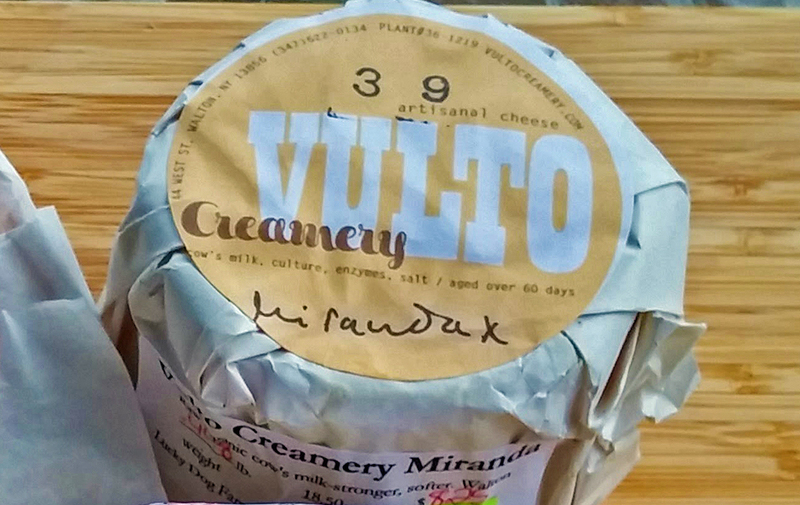 Catskills-based cheesemaker Vulto Creamery has suspended production and recalled four of its soft, raw-milk cheeses after investigators linked two deaths and at least four other illnesses to bacteria traced to its Delaware County plant. All lots of the company’s Ouleout, Miranda, Heinennellie and Willowemoc cheeses are affected, and should not be consumed, Vulto Creamery said in its voluntary recall statement this week. The measure comes after federal and state inspectors tracked an outbreak of listeria monocytogenes in four states to Vulto’s 5-year-old production facility in Walton. The bacterium can cause serious and sometimes fatal infections in young children, frail or elderly people, pregnant women and others with weakened immune systems. Consumers who have purchased any of these soft raw milk cheeses should return the cheese to the retail location for a refund, the company said. The investigation began Jan. 31, and evidence confirmed the presence of the bacterium in a batch of Ouleout cheese on Wednesday, according to the FDA. The individuals affected live in Connecticut, Florida, New York and Vermont, and began reporting illness as early as September 2016, according to officials. All six people were hospitalized and two people died, one in Connecticut and one in Vermont. Ill people ranged in age from newborn to 89. The FDA is posting updates to the investigation on its website. The U.S. Centers for Disease Control is also maintaining a web page with details and updates. Vulto’s cheeses are distributed nationwide, with most being sold at retail locations in the Northeastern and Mid-Atlantic States, California, Chicago, Portland and Washington, D.C. Proprietor Jos Vulto began making cheese in his Brooklyn apartment in 2008, drawing headlines for aging it in a cave below an urban sidewalk. Since opening his Walton plant in 2012, Vulto has been a leader of the Catskills’ growing cheesemaking industry, garnering features in publications such as Culture Magazine, Modern Farmer, Grubstreet and Cheesenotes.